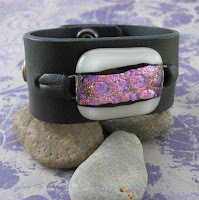 Creations of fused glass, copper and natural elements in wearable and decorative designs. I just had to share with the everyone the joy I feel on becoming a grandma! My family welcomed London Patrick O'Connor into the world on March 3 at 6:20 pm. He is so adorable (grandma says)! I was lucky enough to be in the delivery room and witness the birth of my first grandchild. He and my daughter are doing wonderfully and we are so lucky to have little London in our family. Well, the Holiday Market and holidays are over and just a memory now. 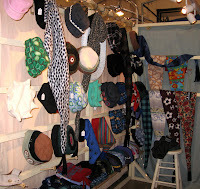 Sales were good at the market despite the economy. 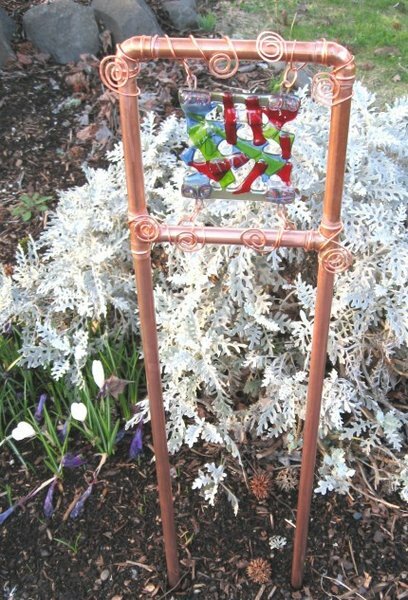 Now it's time to look forward into the new year and make plans for the upcoming selling venues....Etsy, Saturday Market, the Holiday Market and more. Although I rarely follow through with my new year's resolutions, I continue to make them anyway. Most I will keep to myself, but the most important one for me this year is to simplify my life. I've got this idea that if I unclutter my life....business and personal, then everything will fall into place and I won't feel like I am constantly running on that hampster wheel of life. To achieve that goal, I will focus on the aspects of my business and personal life that perform and seem to accomplish steps forward and not backwards. I plan to post more on here, facebook, flickr and finish my website (in progress for a year). Also, work on marketing my Etsy shops better. Well, now that I've thrown it out there...we'll see how I do, hehe. Somehow it is difficult to have two shops and keep them completely separate. Probably because your likes and dislikes merge with your creative juices and end up flowing down the same creative stream. 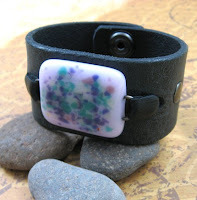 Anyway, I have started combining my fused glass (psodesign) and my recycled wrist cuffs (dinglewear). It seems like a natural marriage and I am really happy with the results. Let me know what you think. Definitely more to come in both shops! 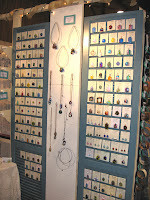 I will also be at Eugene Holiday Market every weekend from November 21 - December 21 in space #46. Come say "hi" if you're in town! Come check out the 3-day sale EGA sale! 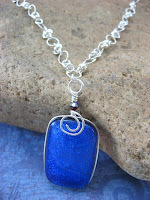 Everything will be 30% off in my shop http://psodesign.etsy.com from September 9-11. 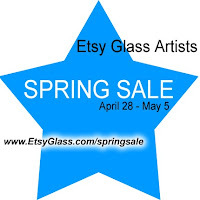 Please use the code FFG in the message to seller to receive your discount. I will send you a revised invoice asap. Included in this EGA sale are the following shops...check them out for some wonderful buys! Wow...it's been a while since I've posted. Summer seems to be slipping by. I've been busy with work, the Eugene Saturday Market and the many summer activities and yard work. 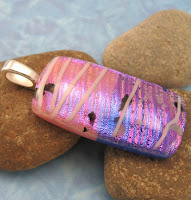 Just thought I'd stop by and show you a couple of new items in my Etsy shop. I started playing with chainmaille and will also be posting new pendants with copper and sterling silver caging very soon. 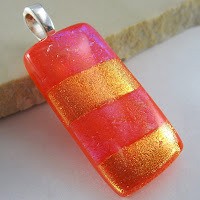 Other items that will show up in my Etsy shop in August will be new pendants, earrings, brooches, chainmaille, hair accessories and an exciting new series of wall art. Come check out the great Mother's Day gifts! Here are all the participating EGA Shops...check it out! HAVE FUN AND SHOP TILL YOU DROP!!! Come take a look in my Etsy Shop!